The Arunachal Pradesh Congress Committee ( APCC ) opposed the centre’s move to relax the protected Area permit (PAP) or Restricted Area Permit ( RAP ) system to enable foreign tourist to access border areas of Arunachal Pradesh. 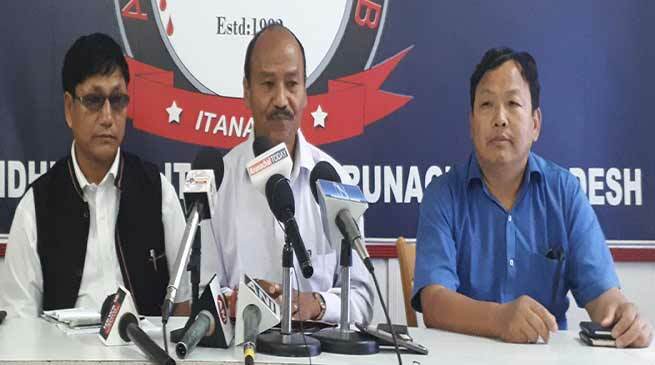 APCC Vice President Minkir Lollen in a press conference held at Arunachal Press Club here today said that ” Arunachal Pradesh is a very sensitive border state with China, who claims Arunachal Pradesh as its territory again & again, the example of Doklam and Tuting in Upper Siang District of Arunachal Pradesh where Chinese is constructing road in Indian Territory violating the McMohan line recently”. In 1962 after Chinese Aggression, the Indian Government wakeups to seal the border area and to protect indigenous local people of State the then government taken necessary measures and created this PAP to protect area so that indigenous people could able to re-settled in their respective settlement areas, he added.